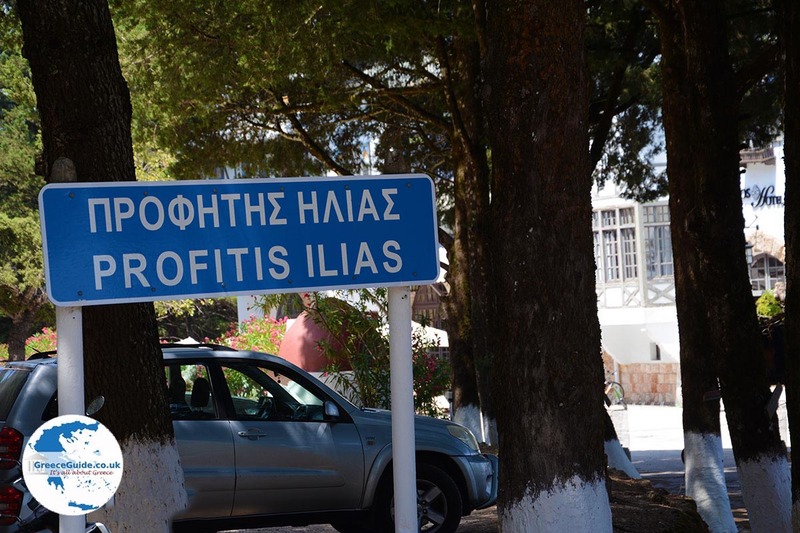 Profitis Ilias. Profitis Ilias is a 641 meter (2,100 foot) high mountain southwest of Rhodes town, not far from Kamiros. It is a lovely wooded mountain with some very interesting attractions. 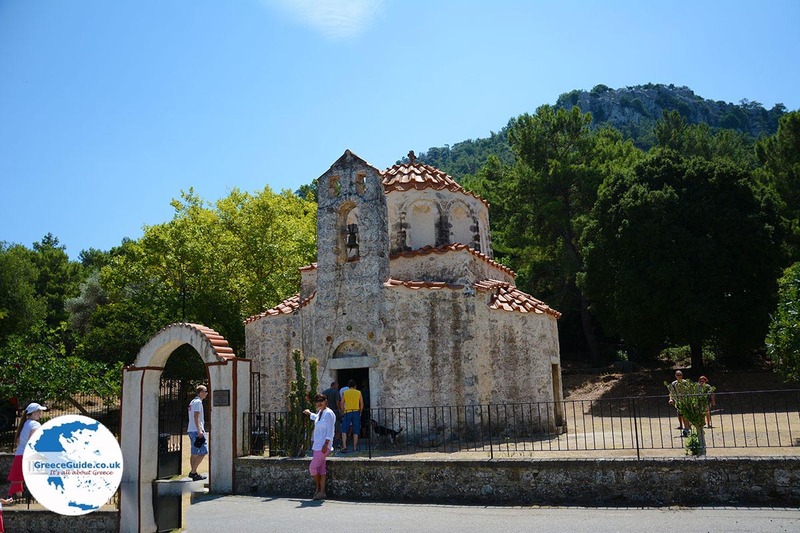 Coming from Kolymbia and Epta Piges (Seven Springs) towards the village of Eleousa, you’ll first see the beautiful monastery of Aghios Nektarios. There is plenty of drinkable water throughout the area. Before the church stands an ancient, huge, famous plane tree that is hollow on the inside, just like a room. 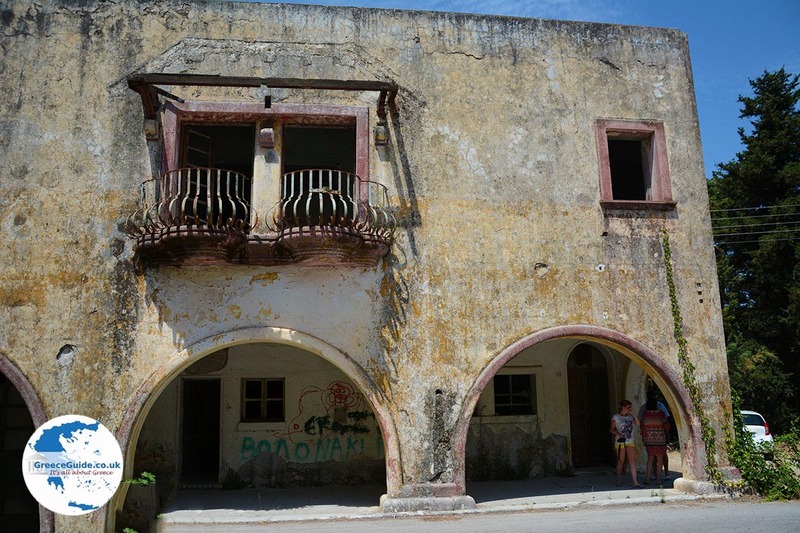 In the village of Eleousa you will be surprised by a large, mysterious derelict building. 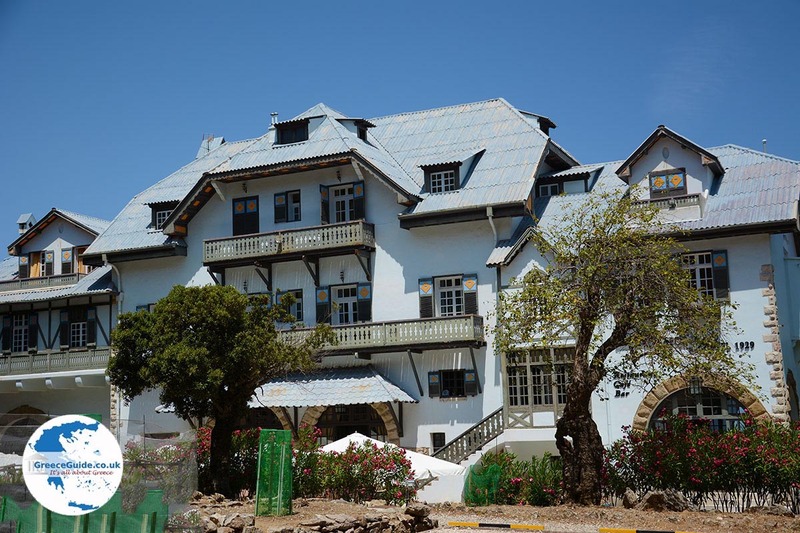 In the period around the World War II, when Rhodes was still in Italian hands, the Italians built a hospital here. 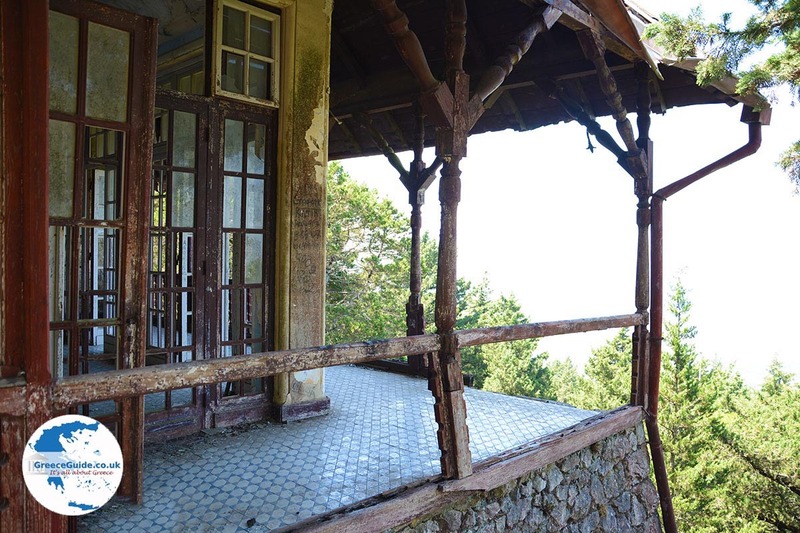 Later, when the Italians left, it was a sanatorium for the chronically ill. 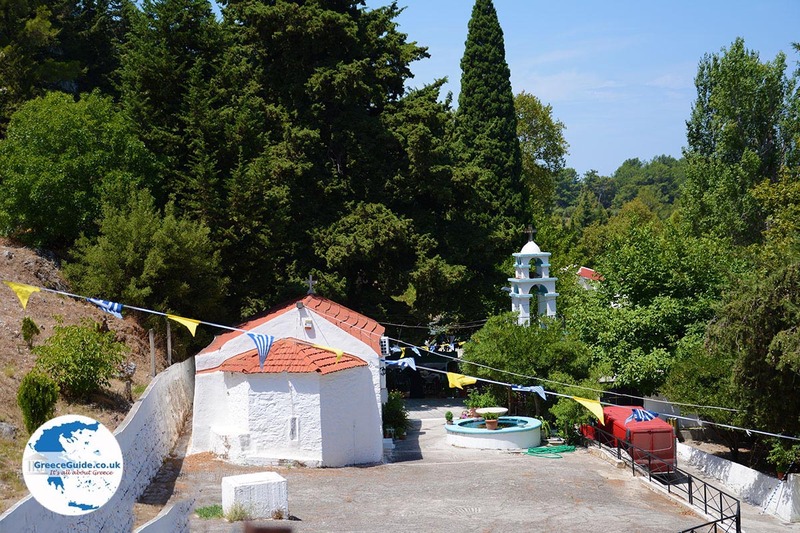 However, since the seventies the sanatorium has been closed and when you drive along Eleousa today, at the main square, opposite the main church of Agia Eleousa, you will see this giant ghost building. 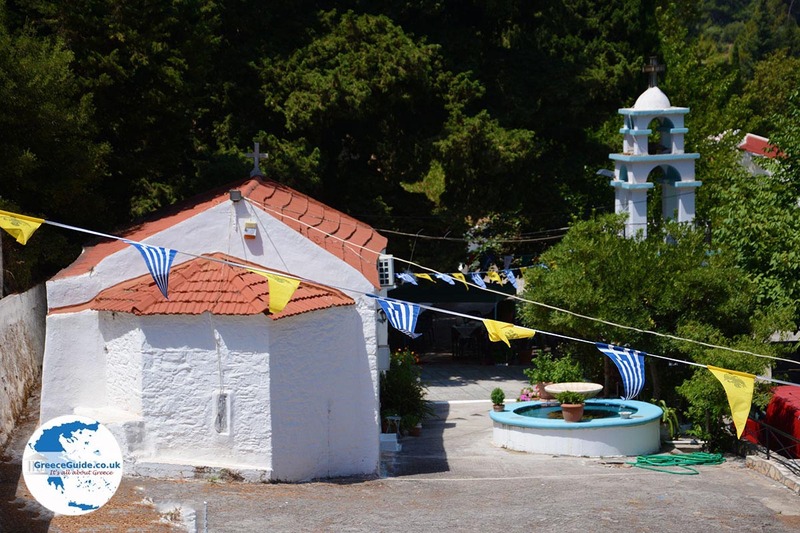 When you drive on towards Profitis Ilias, you will encounter two very interesting sights; the large round fountain and the church of Aghios Ioannis (St. John) Foundoukli constructed in the 15th century. A few kilometers away is the summit of Mount Profitis Ilias. Here you will be surprised by the Austrian-like scenes. There are two large buildings that are more reminiscent of Austria and Switzerland than Greece. One building is called Elafos, this is actually a hotel built in the year 1929, the other is named Elafina (1932). When last we were there (summer 2015), Elafina had been restored. Captive deer (elafia) inhabit the area. On the square near this building there is plenty of parking and there is also a nice taverna named Elafaki. 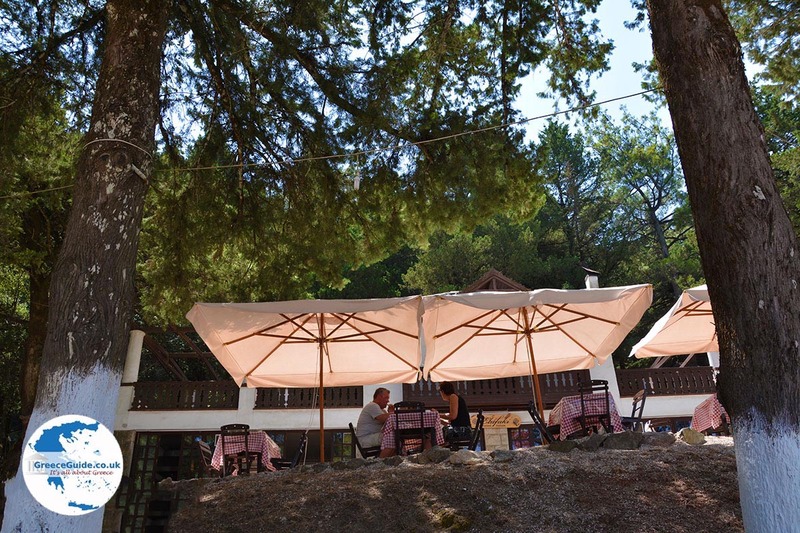 One hundred meters from the taverna Elafaki, there is a stone staircase-which takes you up to the highest point of the mountain. 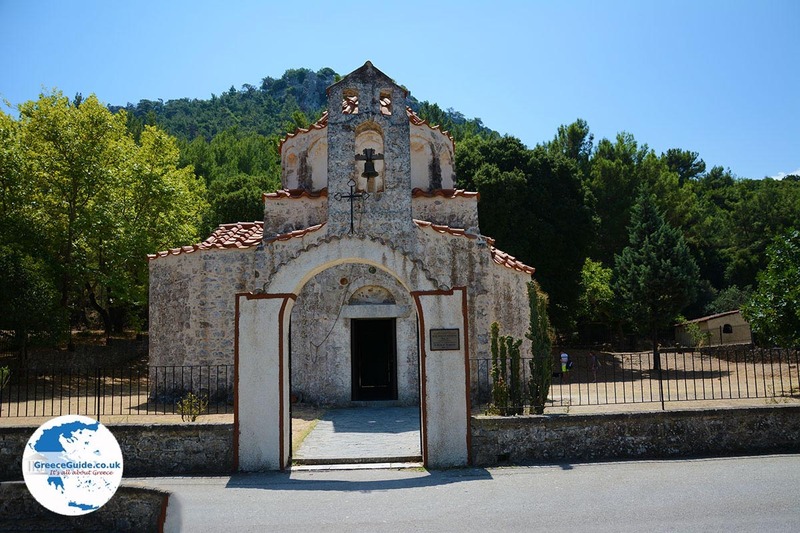 Here too you will encounter a mysterious derelict and dilapidated building and a Catholic church. This building was the Cottage of the Italian dictator Mussolini used in the period around World War II. 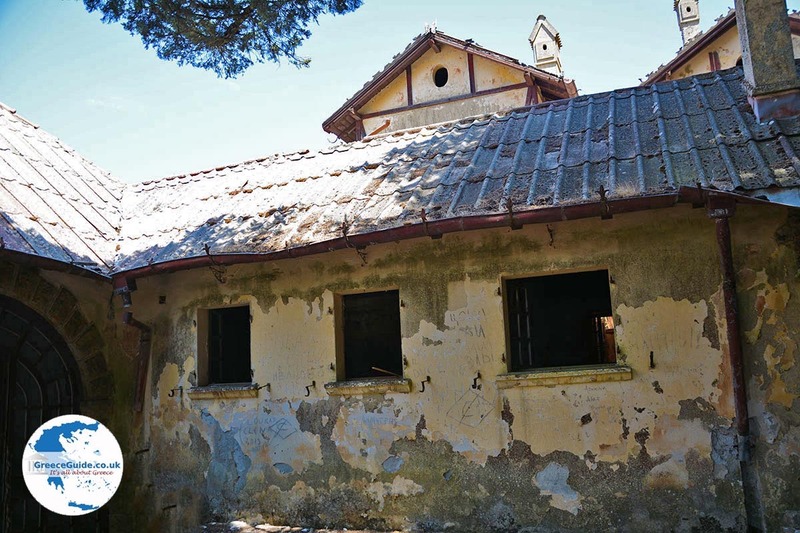 You can walk into the building and the church, but be careful because both buildings are in very poor condition. 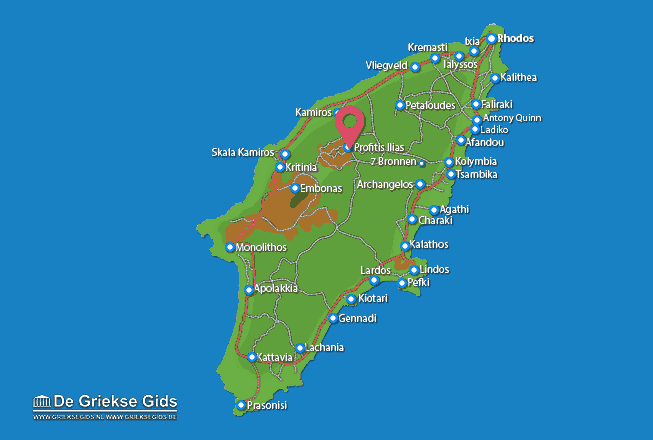 Rhodes: Where on the map is Profitis Ilias located?